READY TO PUSH YOUR POTENTIAL? LOOKING FOR MORE THAN JUST 1 STYLE OF TRAINING? The mission for Round 1 Fitness has always been to inspire a community of athletes of all ages and fitness levels to live happy, healthy lives. Our recent expansion now means we are able to offer our Boxing for Fitness training AND a Functional Fitness program side by side, each in their own, dedicated 500m2 training spaces. Offering a new circuit every day – and more than 70 sessions every week – our Boxing for Fitness sessions are just the thing if you are looking to get in shape! We have a huge array of equipment – and a 500m2 circuit area! – and our sessions will see you working the bags and speedball, swinging kettlebells, pushing hard on the bikes and ski-ergs and doing abs, abs and more abs! All of our sessions are scaled to enable newbies to slot in alongside Round 1 regulars. 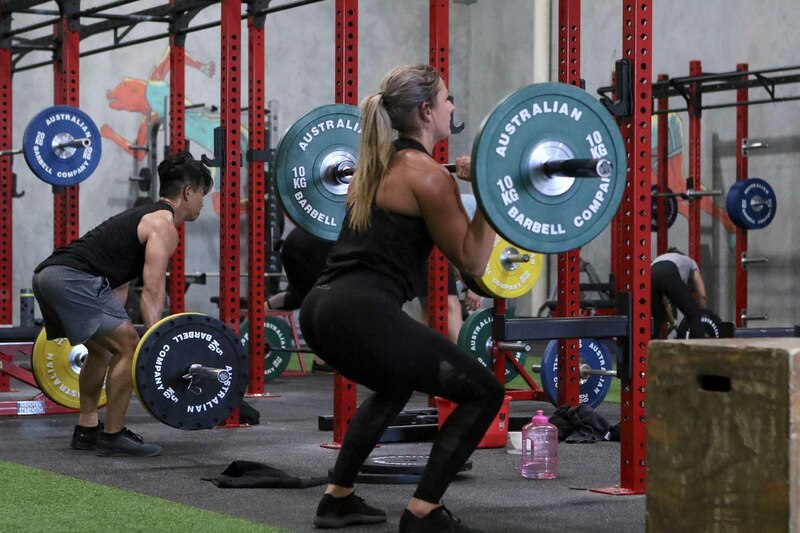 Our expanded gym has been fitted out with more than $300000 worth of strength and conditioning equipment – there are more barbells, plates and squat racks than you will EVER need…not to mention a wide range of Hammer Strength plate loaded, isometric training stations. 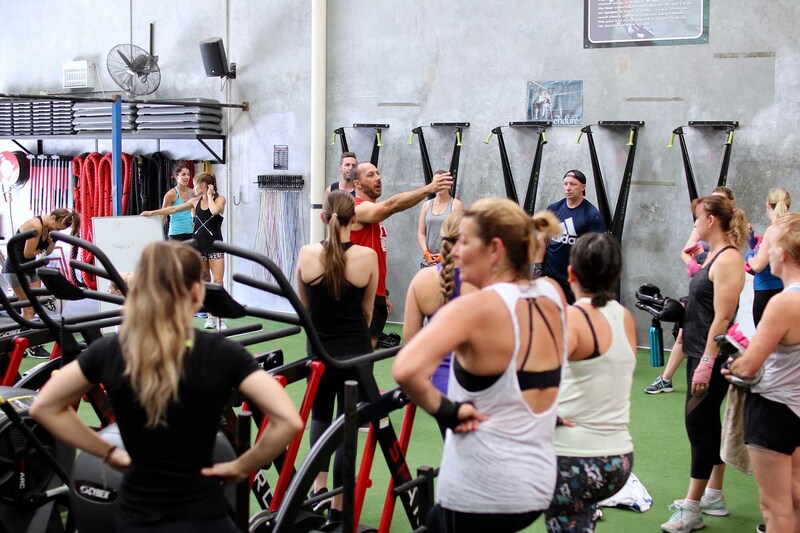 Our Functional Fitness classes will give you the opportunity to train in a supervised, programmed environment designed to allow you to train every day – we will squat, bench, deadlift, press…and (of course) condition! Just like our Boxing for Fitness sessions, our Functional Fitness classes are also scaled to assist newcomers just starting out on the program. Whether you are just getting started or an experienced athlete, our trainers are here to support YOU and YOUR GOALS. We don’t believe in a ‘one-size fits all’ model. A gym filled with Happy, healthy members who FEEL AMAZING – that’s our goal. Our staff and our amazing family of members will be there to help you on your journey. Your goals are our goals – we are determined to achieve them together. You want to improve your health and feel better? Our job is to help you stay on the ‘RIGHT’ path and provide you with everything you need to be successful. OK I get it, it’s a big decision. You’ve made it this far which is awesome. Let us make it easier for you. Check out a few links below that will give you a better insight into why we exist and what we can do for you! Learn more about Round 1 Fitness, why we exist and how training is the key to success. You can also check out our awesome team! With over 70+ classes to choose from each week we have times available for everyone. Have a look at the different styles to see what suits you. We pride ourself on helping you achieve your goals. Ream about our members, what got them into Round 1 Fitness and their stories that make them part of the fam.